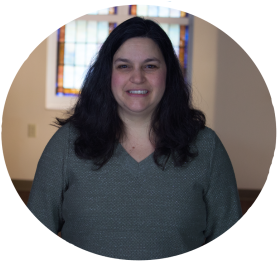 Sheri McMaster is the church secretary (2014 - to present) and most recently also became the treasurer (2017 - to present) of St. Peter’s Reformed Church in Zelienople, Pennsylvania. Prior to coming to St. Peter’s, Sheri worked for a law firm in Butler, Pennsylvania as a legal secretary/paralegal from 1993-2002 and then decided to be a stay-at-home mom for her three young children. During this time period (2002-2010), she did various babysitting jobs for other families, started volunteering at her children’s school as a PTO member and was also a Girl Scout leader and cookie manager for the Mars Area Trefoil Service Unit. Starting in September of 2010-2014, Sheri worked as a Substitute Secretary/ Paraprofessional for the Mars Area School District. Sheri is a 1992 graduate of Bradford School in Pittsburgh, PA and received an Associate’s Degree in Office Administration. ​Sheri lives in Mars, Pennsylvania with her husband, Scott and her three children, Emily, Sarah and Ethan.